BlogHome » Gray Charter. “Part 134 1/2”. What is Illegal Jet Charter? The FAA is cracking down on illegal charter operations. This article will help private jet hire consumers become more educated, empowered and can therefore protect themselves, by highlighting the pitfalls that can occur and what to watch out for. Illegal private jet charter operations are sometimes referred to in the aviation industry as “134 1/2” or “gray charter”. Before we explain what illegal charter is, how it occurs and the impacts on both the charter customer and the aircraft operator, we need to clear up “Gray Charter”. Let’s be totally clear here… There is no spectrum between legal and illegal charter flights. There is no zone that is a gray area; flights are either legal, or illegal. And so illegal charters are in fact black market flights. To begin with, illegal jet charter is defined as when an aircraft owner, or operator, charters their aircraft without following the strict regulations established by the Federal Aviation Administration in FAR Part 135. By not attaining and adhering to these regulations (which is very costly and time-consuming), an aircraft has not been authorized for paying passengers (or property). This means if an aircraft owner provides an aircraft and a crew for hire, without obtaining its own Part 135 certificate – or leasing the aircraft to an established Part 135 operator – prior to providing a charter service, each and every chartered flight is illegal. A sizeable number of private jet charter customers may be unwittingly buying illegal private jet flights from unlicensed and unqualified operators. Sadly, many of these illegal operators pose as a legitimate charter operator, duping charter users with convincing optics, confidence and elaborate bogus agreements. Some aircraft owners also may be unaware that they are selling illegal trips or entering into such activity intentionally. Others are completely aware of their activities, crossing the razor-thin line into illegal air charter activity with complete disregard for the operating rules and regulations, posing as a certified commercial operator to generate revenue. Operating air charter services in the US is a heavily regulated business. So how does illegal jet charter occur? First, we will look at the operating regulations; FAR Rules of Part 119, Part 91 and Part 135, to see where operators and people fail to meet the requirements. Part 119 | This part applies to each person operating or intending to operate civil aircraft as an air carrier or commercial operator. It defines direct air carrier as a person who provides, or offers to provide, air transportation and who has control over the operational functions performed in providing that transportation. Part 91 | Part 91 outlines the general operating and flight rules for those flying not-for-hire a civil and general aviation aircraft. Part 135 | Part 135 outlines the requirements for commuter and on-demand operations. Specifically, it is applicable to the commuter or on-demand operations of each person who holds, or is required to hold, an air carrier certificate under Part 119. You are most likely not covered by any insurance, as it is impossible for a plane’s insurance coverage to cover illegal operations and compensation for hire activity. Good luck in seeking compensation from an owner who has to repair or replace his aircraft out of his own pocket. Flying with an under-experienced crew. Crew that operate illegal charter flights do not undergo advanced training to the highest standards that Part 135 requires, and their obligatory training is much less frequent. If caught professional pilots lose their license and face possible imprisonment, which most certainly ends their careers. You have no assurances of your pilot’s credentials and training. Your crew are not subjected to drug and alcohol testing upon employment and entered into a random drug testing pool. The reason the cost of your flight is cheaper than legitimate charter operators is because they have fewer mandatory overhead costs. Obtaining a Part 135 charter certificate is very expensive and time-consuming to achieve these regulations. The illegal operator has simply ignored these regulations. And is simply ignoring your safety, all of which could have dire consequences. Protect yourself. Do your own due diligence and work with trusted aviation partners to avoid illegal jet charters; be that reputable brokers or aircraft management companies directly. At Reynolds Jet safety is a relentless obsession. 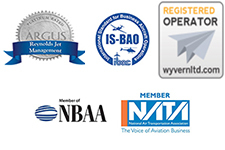 We pride ourselves on surpassing stringent industry-leading audits to ensure our charter customers, aircraft owners, crew and the aircraft are in the safest of hands at all times. We are always happy to answer questions about safety to give you complete peace of mind Check out our Safety accolades on our Safety Page. King Air 350 Added to the Reynolds Jet Fleet.